When you take a loan from a financial institution, you need to keep an eye open for the amount you need to pay back every month or year. 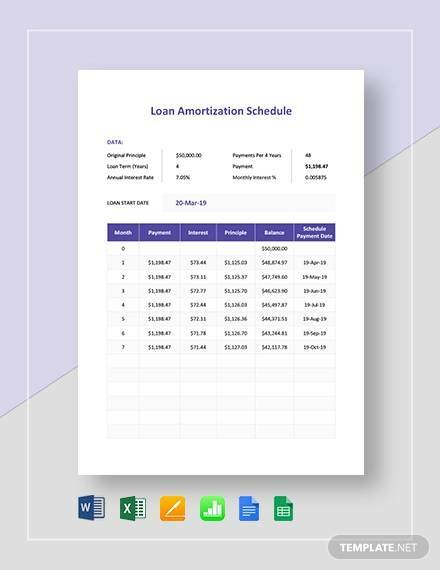 In most of the cases, a Loan Amortization Schedule Excel is used to fix the amount to be repaid at regular intervals. 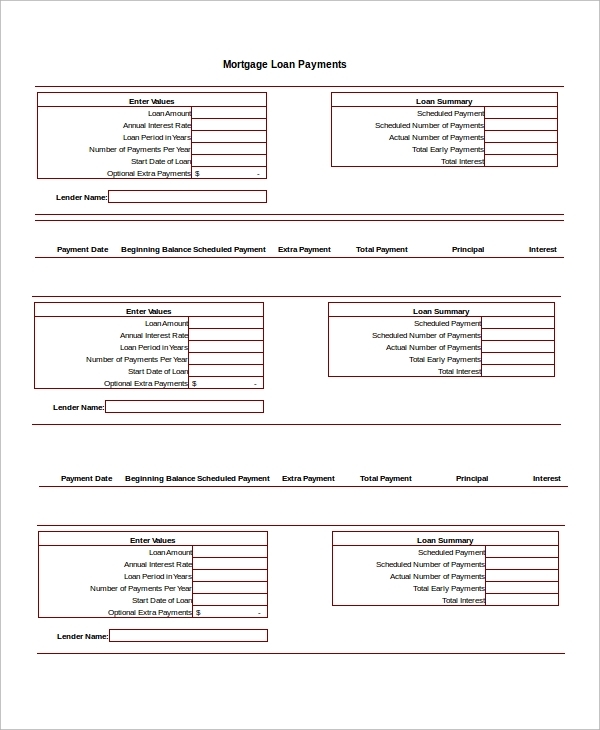 This sheet is used to maintain an account of the money you have already returned and the outstanding amount. 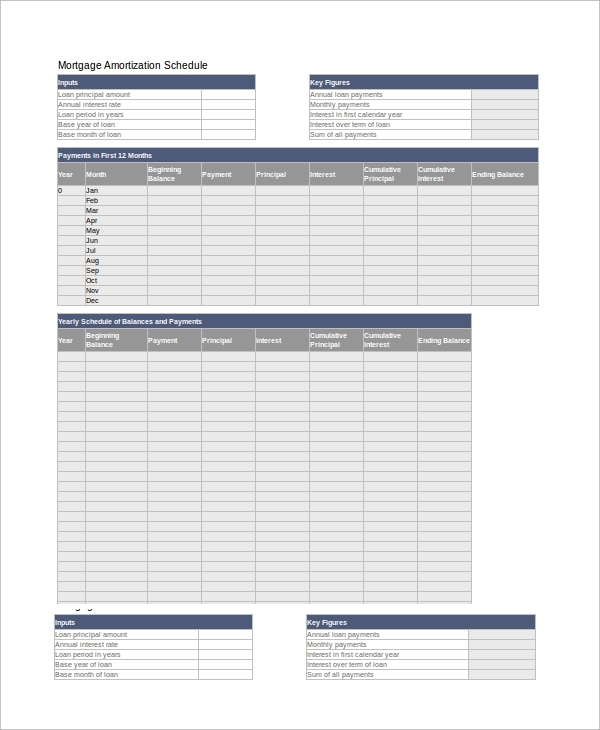 The commonly used Schedule Samples in Excel are presented here. This document contains all the necessary details required for repaying a loan amount. 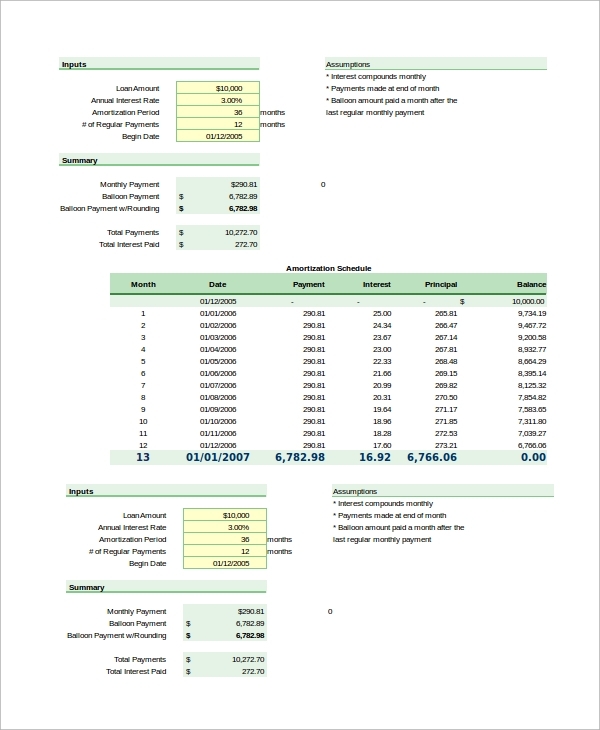 The rate of interest, cumulative interest, dates of payment and period are clearly presented in the excel sheet. You can also see Bank Rate Mortgage Calculators. 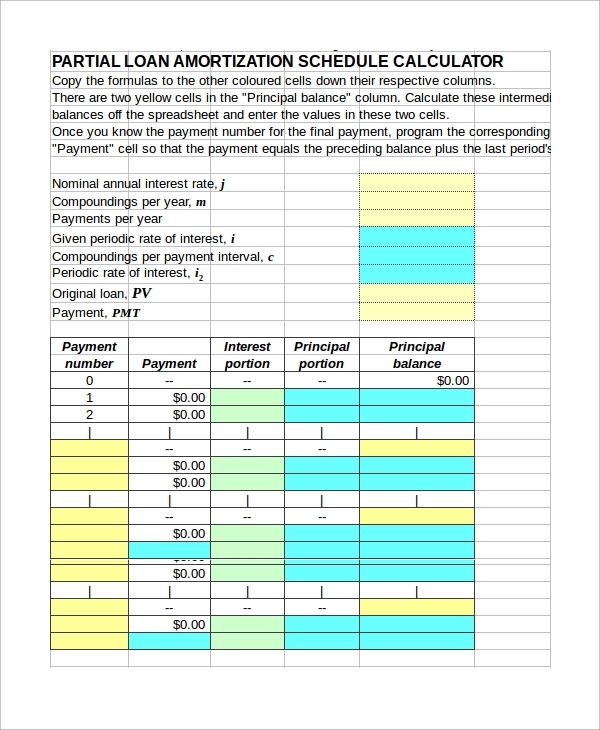 The simple Excel Spreadsheet consists of some rows, presenting a chronological sequence of payment history. 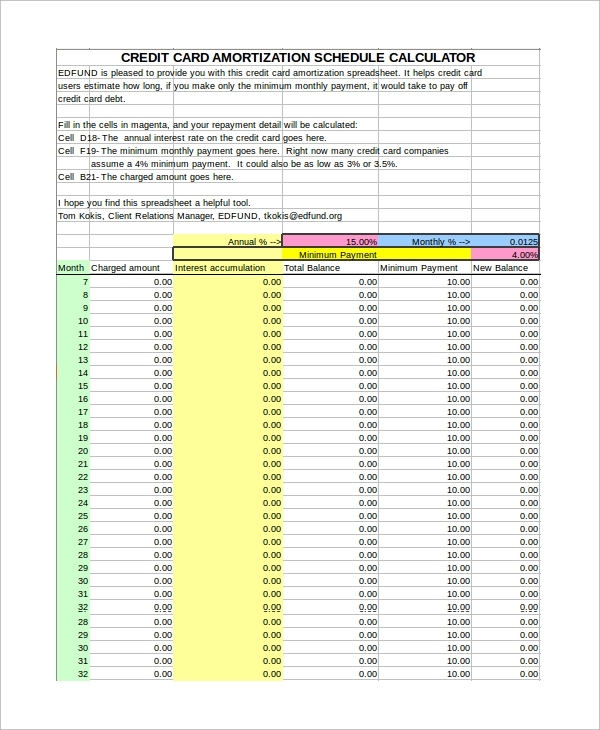 It is easy to know the amounts of payment per year and you can know the exact outstanding balance after each payment from this sheet. Professionals use this sheet to calculate the loan compounded each year. Separate rows display the payment number, interest position, balance and so on. The compound interest per payment is also provided here. What are the Uses of an Amortization Schedule? When you try to calculate the amount of money you are going to repay every month, you need a detailed document that has all the elements like loan amount, time for a refund, the rate of interest and other details in it. 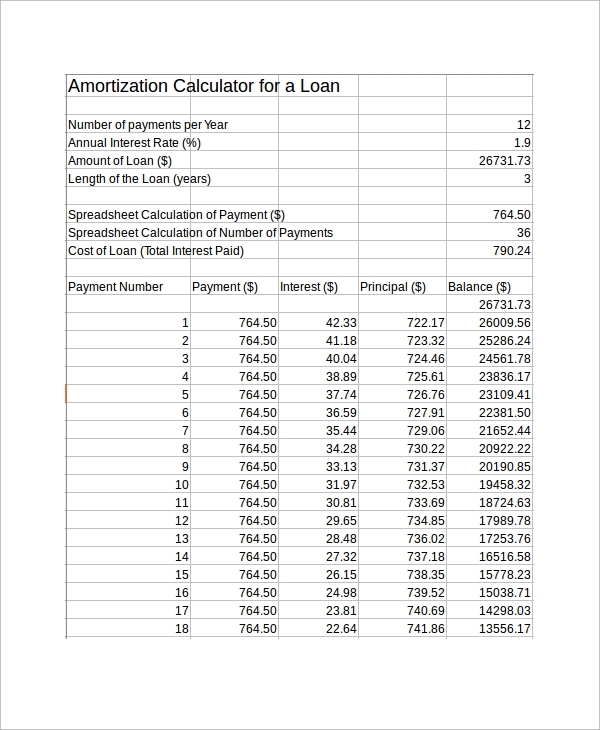 The Loan Amortization Calculator Excel can be used as a calculator that allows you to know the exact amount of money that you have to pay. In some sheets, the total repayment scheme for twelve months is represented in the excel sheet. In others, the entire scheme is presented. For credit card loan repayments, this format is ideal, and there are separate positions for charged amount, interest accumulation, total balance, minimum payment and new balance. One can check the balance after every payment. Here, the particulars of the payments like the rate of interest, loan amount and a number of payments per year are presented at the top. Below this, there are twelve divisions, each displaying data for one month. Who Needs An Amortization Schedule? These documents are primarily required for the clients of banks and other financial institutions. Private money lenders also use these sheets to get back the money after the agreed interval of time. It simplifies a complex process of financial understanding, and the loan seekers get a clear conception of the scheme before they go for a loan. One can also get an idea of the time required to repay the loan amount to the bank or other sources like private financial institutions. You can also see the Mortgage Amortization Calculator Samples. In most of the documents, the particulars associated with the repayment are placed at the top of the sheet. These include the dates, rates of interest, amount of money compounded annually. 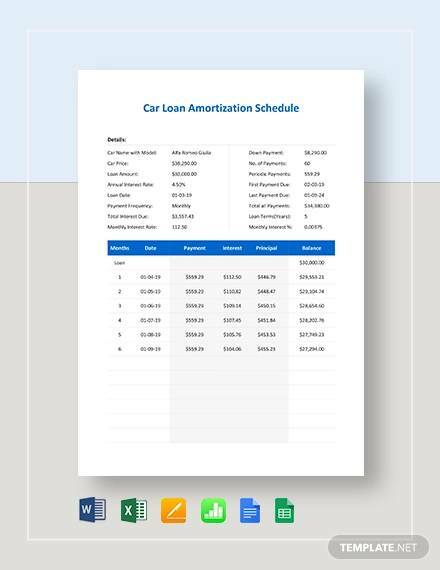 You can browse the website for different formats of Amortization Schedule Calculator and customize them as per your requirements and purpose.